What can I say about this movie that hasn’t already been said. Like really. 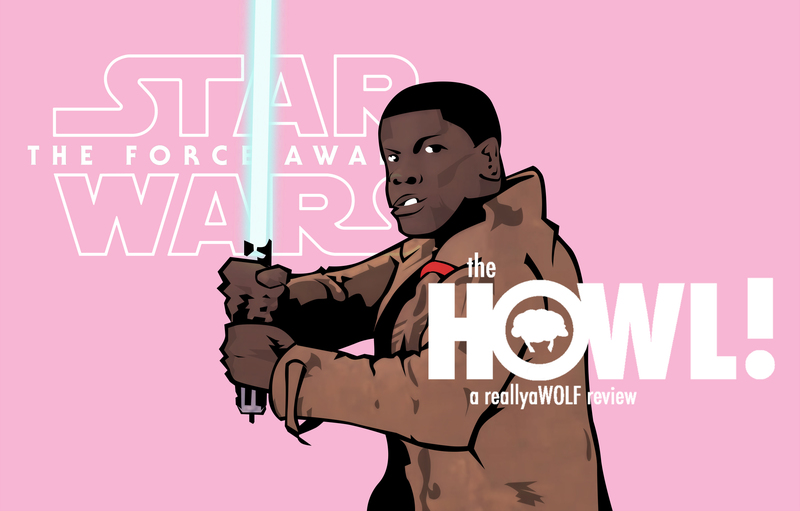 Biggest movie of the year you can pretty much bet on that so I’m just going to do this #theHOWL by just throwing out a bunch of bullet points on my feelings about the 7th installment of one of my favorite franchises. Star Wars is one of the only movies that gets a standing ovation as soon as the opening credits pop up. I can’t think of any other movie this happens for but if you know of one let me us know. Love how they kind of hid the fact that Rei was more so the main character. That was kind of cool not knowing what to expect. When Kylo Ren stopped the blaster fire mid flight I almost lost all my mind. As soon as I saw as I saw Supreme Leader Snoke I immediately thought it was Darth Plagueis. He is such an important character to the mythos of Star Wars it just seems like someone would eventually introduce him to the main franchise at some point. I thought Kylo Ren seemed to be almost an exact replica of Anakin / Vader. He acts just like Anakin. Bratty and whiney but may have good intentions up under there somewhere while at the same time being to some degree a fully realized villain. With Kylo Ren being stated to be not as powerful a Vader it makes me really wish we got a chance to see Vader in action on the big screen. They seemed to be a little more heavy handed with the whole The Empire are Nazi’s theme. I think my new favorite character is Poe Dameron. I think I’m going to like Captain Phasma. Why the hell aren’t we seeing any characters from Star Wars: Rebels!?! What happened to them? Age wise they should all still be alive. I think they did rehash too many of the old themes. I thought maybe they would give us a couple nods to the older films but goodness gracious. Everything from a new Death Star (that has just as big and exploitable a weakness as the first two) to a force sensitive main character who knows nothing of her past. An older character who acts as a mentor but then gets killed by the main antagonist with his lightsaber. The second lead is good with a gun and only thinks of himself but when it seems as though he abandoned you he ends up being a hero. The pilot is the cool one. The main antagonist use to be and has killed all the Jedi. I could go one but you get it. It was a bit much. Okay so I think that’s all I got for know. May update this post later with more thoughts but let me know what you guys felt.